A NEW project secured with motor giant Ford will see established automotive parts manufacturer ElringKlinger (GB) generate a number of jobs in preparation for 2018. ElringKlinger, which already employs over 300 people at its Redcar plant in the North East, was selected by Ford to begin production for two new components for the car brand’s latest engines. Having worked with Ford for over 30 years, ElringKlinger has invested almost £1.5 million into its latest project that will commence next year and continue over six years. The contract worth approximately £5 million will create up to 20 new vacancies for machine operators at the Redcar facility. The project will involve ElringKlinger manufacturing and supplying Catalyst and Exhaust Heat Shields for new Ford engines, which has meant investing in specialist equipment including FORD Fox Hexagon Rivnut Machine and FORD 400ton Automatic Press with Kuka Robots. 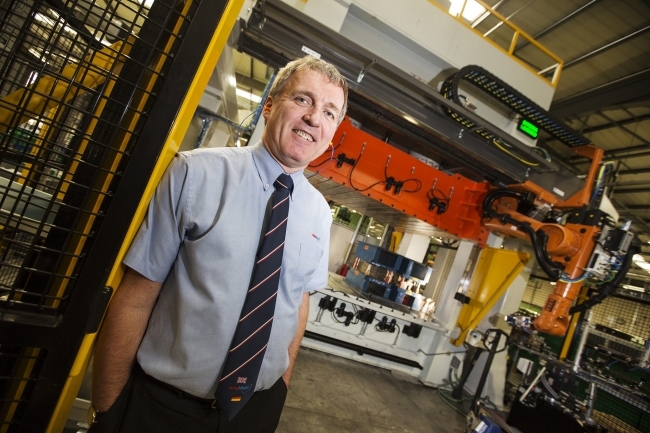 ElringKlinger (GB) managing director, Ian Malcolm, said: “We have worked with Ford for many years and have a strong working relationship with the team. This project is a great opportunity for the profile of both ElringKlinger and the wider North East, and will certainly see an exciting six years ahead once it comes into fruition in 2018. ElringKlinger is experiencing a period of growth which saw product sales total £21m in 2016, with this figure on course to increase by 50 percent in 2017 thanks to existing contracts with some of the biggest names in the industry alongside Ford, such as Jaguar Land Rover. Employees at ElringKlinger have recently taken part in promoting STEM subjects with Teesside primary school children, which saw them spending a week at Belmont Primary School in Guisborough and Abbey Primary School in Darlington introducing children to engineering. As well as this, 2017 has seen the expansion and job creation at the UK headquarters after investing £250,000 in the development of its Tool Room.